Back in the 1970’s stipple ceilings also known as popcorn ceilings became popular by home builders as they were easier to deal with than drywall ceilings, especially when the production of multi home units became popular in Ottawa area neighborhoods. Because new drywall requires a lot more labour intensive work, with patching, sanding, priming and 2 coats paint finish it was more cost effective and less time consuming to just spray the ceilings with stipple. This is why when home projects started being built in the masses they simply used stipple ceilings as a more inexpensive and quick way to finish off the rooms without painting the ceilings three to four times over. 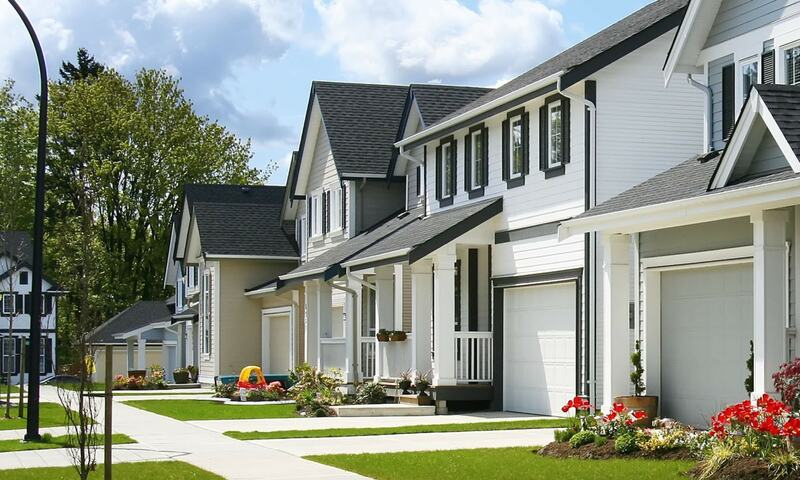 While popular with home builders, it’s not getting rave reviews with homeowners. 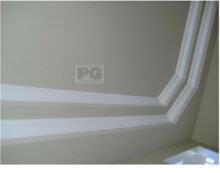 Many homeowners today decide to remove the stipple ceiling and replace it with a smooth, modern flat painted ceiling. 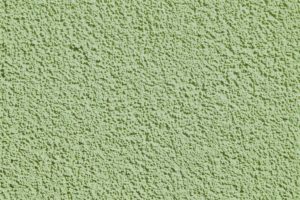 Two methods of removing stipple involves wetting the texture and scraping it off and the other would be to sand the textured ceiling down to the drywall surface before repainting. Before you begin the project of removing or repairing the stipple ceiling please make sure to get informed as to whether it contains asbestos. Although it is now banned, depending on the year your home was built it may contain asbestos. The Ontario Labour and Government of Canada websites have information on asbestos in construction and homes that you can read more about at the links we’ve provided at the end of this article. Step 1. 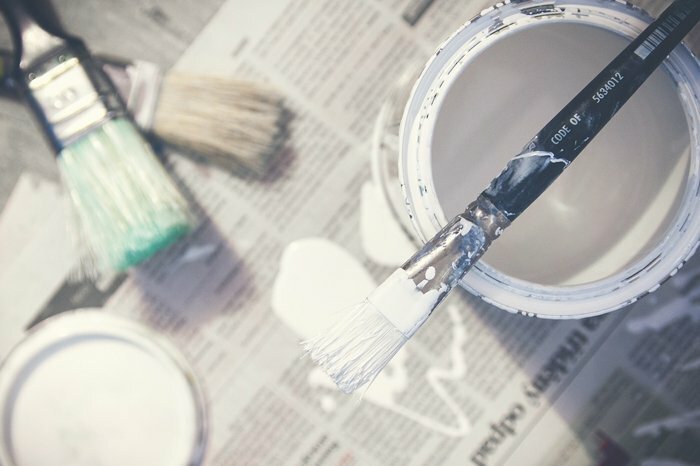 If you are using the water method to remove the stipple from the ceiling here are a few tips to help get you started. All furniture and accessories should be removed from the remove. If you can’t take then out of the room completely then make sure they are well covered with plastic to protect them from any drippings and dust. It is easiest to do it if the room is empty but sometimes it’s not possible if you’re already living in the home. Lay down drop cloths or tarps on all flooring, carpet so that it is protected from any water moisture drops as well as all the stipple and dust created once you get started. Using a spray bottle with water, spray the ceiling starting in small sections at a time. Let the water soak and the ceiling absorb the moisture for a few minutes. (approx 20) Spray the water on the ceiling a second time and let it sit again for another 20 minutes. After the water has moistened the stipple on the ceiling, you can use a putty or drywall joint repairing tool or knief. Using the flat blade of this tool you can slide it carefully through the stipple and it will peel it away from the ceiling. 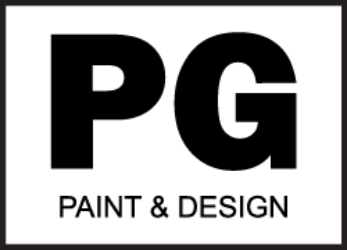 Do not apply to heavy a pressure as you may cause further damage to the drywall of the ceiling. If you’ve sprayed enough water the stipple should peel easily, if not spray more water until it does. Once you’ve removed all the stipple from the ceilings, you will have to sand it down to a smooth finish before applying any paint. If there is any damage to the drywall after you’ve removed all the textured material then you may need to make a few drywall repairs. After you’ve made all the repairs to the drywall of the ceiling and properly sanded the entire area to a smooth finish the ceiling is now ready to be repainted. When removing the drop cloths and plastic that covers the flooring and the furniture, be mindful to do so carefully. You can use a Shop Vac vacuum cleaner to collect any of the fly away dust. Note that there will be an accumulation of both the water and the stipple and if not careful they can spill onto all things you took such care in protecting when you first started. 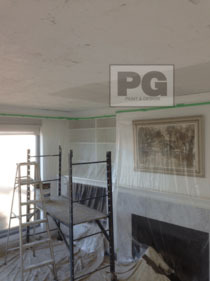 The finish result of removing the stipple ceiling is a modern look in your house. 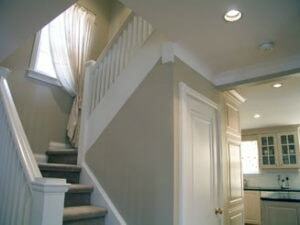 Having a flat painted non-textured ceiling brings your home to the present sleek and clean trend in home decor. 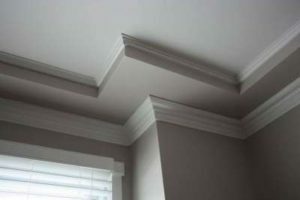 You may find these articles useful as well for any ceiling issues.